Riverstone delivered 2Q18 earnings of RM33.6m (+23.8% y-o-y) but disappoints slightly on margins. Cleanroom capacity to grow by 33% to c.2bn gloves p.a. as new facilities kick in progressively from 3Q18. Riverstone can outperform peers amid industry headwinds as it ramps up on cleanroom glove capacity. Maintain BUY; Target Price adjusted to S$1.25 after lowering gross margin assumptions. Maintain BUY; Target Price revised to S$1.25 on lower gross margin assumptions. A global market leader in niche Class 10 and Class 100 cleanroom gloves, Riverstone’s edge in the high-tech cleanroom segment sets it apart from the bigger boys. Given intense competition in the healthcare space, we see value in Riverstone’s growing cleanroom business – which allows the group to command consistently higher margins vs peers (16% vs peers’ c.10-15% in FY17). New cleanroom facilities are set to kick in from 3Q18 – which would grow cleanroom capacity by c.33% to at least 2bn gloves p.a. Riverstone’s 2Q18 profit grew 23.8% y-o-y to RM33.6m but disappointed slightly on the margin front, mainly due to the higher foreign worker levy and natural gas price hike. We have lowered our gross margin assumptions accordingly, resulting in a 7%/3% earnings cut for FY18F/19F respectively. Maintain BUY as we believe that Riverstone can outperform peers as it ramps up on its incoming cleanroom glove capacities. Given currently attractive valuations, hard-to-replicate cleanroom expertise and robust end-demand, we see Riverstone as an attractive acquisition target for manufacturers with ambitions to break into the lucrative cleanroom business. Further capacity expansion, sustained increase in cleanroom glove mix (and thus margins), and inorganic growth. Capacity expansion and improving mix to underpin long-term growth. Riverstone plans to grow its glove production capacity to 10.4bn pieces p.a. by end-2019. Backed by robust demand and expectations of a higher cleanroom mix, we project earnings to grow at a c.16% CAGR from RM129m in FY17 to RM168m by FY19F. Maintain BUY with lower Target Price of S$1.25, based on 16x FY19F PE. Underpinned by double-digit capacity growth and higher-quality earnings growth supported by more stable cleanroom margins, we believe that Riverstone deserves to at least trade at its historical average valuation of 16x FY19F PE, which represents a c.45% discount to larger peers’ 29x. threatened in the event of a slowdown in the global economy. 2Q18 profits up 23.9% y-o-y but disappoints slightly on the margin front. Despite steady sales (+0.5% y-o-y) in 2Q18, Riverstone delivered strong bottom-line growth of 23.9% y-o-y and 7.9% q-o-q to RM33.6m. Apart from the higher sales volume (vs 2Q17), lower raw material costs and favourable forex impact were key factors. To recap, the group generates a surplus in USD as it typically receives over 85% of its revenues in USD but reports in MYR - majority of the group’s expenses are in MYR as well. DBS Research estimates that the USD/MYR will appreciate to 4.20 by end-CY18F, vs 4.03 as at end-2Q18, which bodes well for export plays such as Riverstone. Overall, 1H18 net profit of RM64.6m formed 42% of our FY18F forecasts and was slightly below vs historical 1H contributions of 45%. While gross margins have increased to 22.5% (2Q18) from 20.5% (2Q17), they were relatively flat on a sequential basis – which disappointed slightly, mainly due to the revised foreign worker levy and natural gas price hike in Malaysia which came into force in January. Persistent industry headwinds, but incoming cleanroom capacities to drive growth. Similar to previous quarters, we continue to expect industry headwinds – fluctuations in USD/MYR, volatile raw material prices and operating costs – to remain a bane for the glove industry at large. All else equal, underpinned by a c.33% increase in cleanroom capacity to at least 2bn gloves p.a. by end-2Q18 (with production likely to commence from 3Q onwards), Riverstone is set to see stronger growth ahead. Full-year contribution from these incoming cleanroom capacities will likely only come in from FY19F as the group ramps up on production progressively, and help boost margins. Malaysian glove industry a beneficiary of US-China trade war? In April 2018, the Malaysian Rubber Glove Manufacturers Association (MARGMA) – which represents c.90% of Malaysian glove manufacturers, predicted that rubber glove exports would achieve at least 10% growth to RM18bn for 2018. We believe that export figures could surprise on the upside if US tariffs on Chinese glove exports were to materialise – mainly on substitution effects as the cost differential between Chinese (predominantly Vinyl gloves) and Malaysian (predominantly natural rubber and nitrile gloves) gloves narrow. Maintain BUY; Target Price lowered to S$1.25 on more conservative gross margin assumptions. After imputing a higher cost structure arising from the revised foreign worker levy and natural gas price hike, we have lowered our gross margin assumptions by 0.6-1.4ppts p.a. – resulting in a 7%/3% cut to FY18F/19F earnings respectively. Target Price lowered slightly to S$1.25, based on 16x FY19F PE (valuation multiple unchanged). Notwithstanding industry headwinds, larger peers are currently trading above +1.5SD on average - Riverstone’s strengths remain underappreciated as it continues to trade below its historical forward PE valuations. 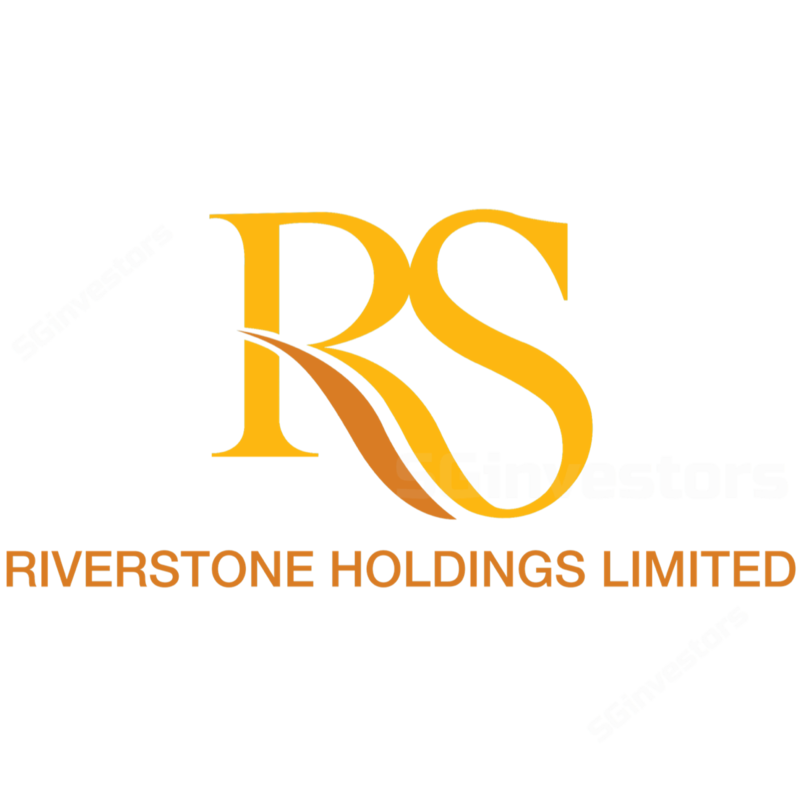 Underpinned by capacity growth at c.17% CAGR (vs larger peers’ average of c.15%) over FY17-19F and higher quality earnings growth supported by more resilient margins from the cleanroom segment, we believe that Riverstone deserves to at least trade at its historical average valuation of 16x FY19F PE. Better-than-expected execution on these incoming capacities could spark a further re-rating to 18x FY19F PE (+1SD), in line with peers. Given currently attractive valuations, hard-to-replicate cleanroom expertise and robust end-demand, Riverstone could also be an attractive acquisition target for bigger boys with ambitions to break into the lucrative cleanroom business.